Researchers in Japan have fitted a train with a speaker that barks like a dog and snorts like a deer in order to prevent collisions on the railway. 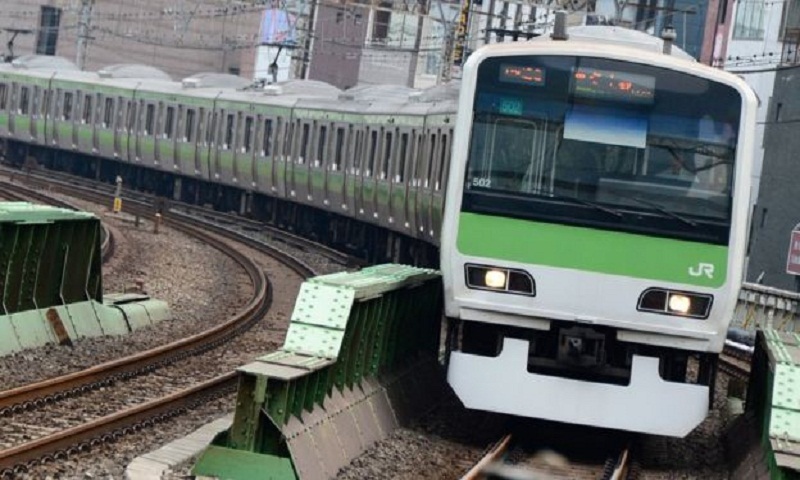 Tokyo's Asahi Shimbun newspaper reports that the combination of sounds is designed to scare deer away from the tracks in a bid to reduce the number of animal deaths on the railway. Officials from the Railway Technical Research Institute (RTRI) say that a three-second blast of the sound of a deer snorting attracts the animals' attention, and 20 seconds of dog barking is enough to make them take flight. RTRI researchers say the late-night tests, at times when deer congregate around railway tracks, have resulted in a halving of deer sightings. If proved to be effective, future plans include static barking sites where deer are commonly seen, but "the noises will not be blared in areas where people live beside the tracks". Deer are attracted to railway lines because of a need for iron in their diets. They lick the rails to pick up iron filings caused by the action of wheels against tracks, it's been found. This dietary need has led to a constant battle to keep the deer separate from the unforgiving nature of tens of tonnes of onrushing rolling stock, and previous plans which involved the spraying of lion faeces on the track were abandoned after rain washed away the dung almost immediately. Another plan, which earned a railway employee Japan's Good Design Award in December, is for deer crossings policed by ultrasonic waves, which allow animals access to the tracks at times when trains aren't running. In trials, Yuki Hikita's idea dramatically cut deer deaths in the area. Japan's transport ministry says that there were a record 613 cases of trains striking deer and other wild animals in 2016, each resulting in delays of 30 minutes or more for rail passengers. But the barking klaxon isn't the first time dogs and railways have come together in Japan. A funicular railway in central Nara prefecture has cars shaped as dogs and cats, alongside rolling stock in the form of a piano and a cake.